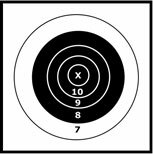 I entered the world of competitive rifle shooting while in High School ROTC. My school competed against other schools in our district using .22 caliber rifles in shooting position, prone, sitting, kneeling and off-hand. After High School came 3 years in the Marine Corps, where I qualified 3 times as Expert. I started reloading for shotgun, rifle, and pistol in 1960 and have continued to this date. In September 1998 I saw an ad for a Browning Creedmore Rifle in .45-90 and liked its looks, so I ordered one. I had never cast bullets before or used black powder, so for the first six months I experimented with bullets I purchased that had been cast by others and used “Pyrodex Cartridge” powder. In 1999 I purchased my first mould and electric pot. Since then I have accumulated quite a few moulds and switched to straight black power. I make my own lube and mix my own alloys. In addition to taking part in competitive matches (BPCR Long Range and BPCR Silhouette), I also hunt big game — Elk, Moose, Caribou, Antelope, Mule, and White Tail Deer. I have never taken an animal with store-bought ammo, but prefer to use my own hand loads. Much of what I have learned has come from trial and error and common sense. It is my hope that what is posted on this site will benefit others. I retired from competition in 2005 but still enjoy hunting big game and upland game.